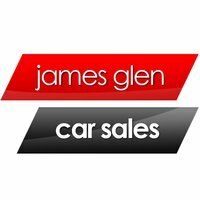 Sorry, we couldn't find any James Glen Car Sales listings that matched your search criteria. Approved used: No Gearbox: Manual Colour: Orange Description: Used 2013 BMW X1 2.0TD xDrive18d M Sport for sale - £10,985, 56,519 miles with Bluetooth, Leather seats, AUX/USB connectivity, Cruise control, Parking assist. Approved used: No Gearbox: Automatic Colour: Grey Description: Used 2013 BMW X1 2.0TD xDrive20d M Sport Auto for sale - £12,285, 60,000 miles with Bluetooth, AUX/USB connectivity, Heated seats, Parking assist. The seller quickly responded to my enquiry.The listing was accurate and thecar was clean and ready for a test drive. The staff were very frindly and helpful. I would recommend this dealership. The dealer contacted me. We could not agree a price. Hi Uzam, thank you for taking the time to post your review.